"If you are interested in learning to play a brass instrument contact Les Graham". 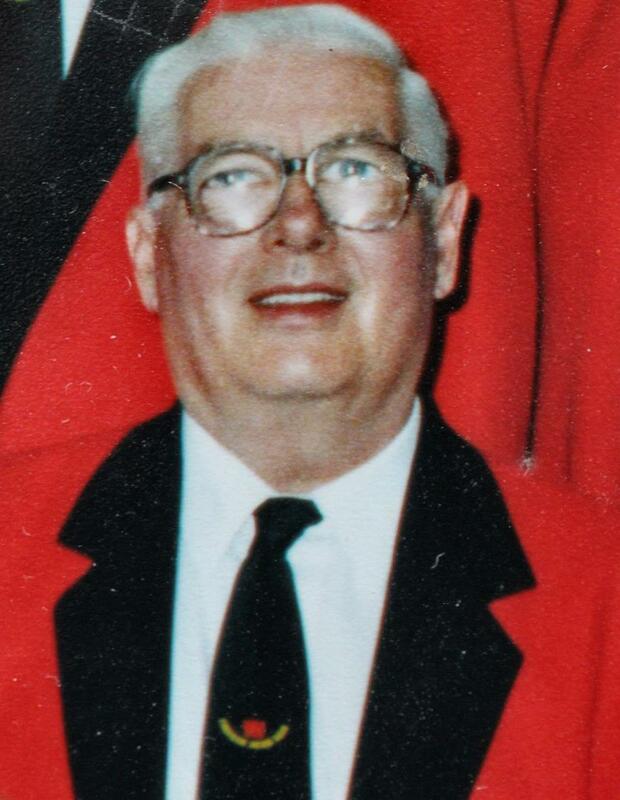 In doing this, Les Graham's aim was to give youngsters the opportunity to learn to play brass instrument together. Les is shown in the photo on the right. In1978 Crosby & Co took over sponsorship of the band and it became known as "The Farnham, Crosby Concert Band". This support lasted until1982 when Cosby & Co were unable, for economic reasons, to continue this support. At this point in time, the band changed its name back to "Farnham Brass Band" and this name has remained in use ever since. Having moved from the original rehearsal facilities at Wrecclesham Youth Centre to a location at Crosby & Co, the band had to find alternative accommodation and were fortunate in obtaining rehearsal facilities at the recently opened Farnham Maltings. In 1992 the band moved to a new location at the Gostrey Club, Farnham. Finally, the band moved to the its current rehearsal location, the Tilford Village Hall, just outside Farnham. Throughout the years the band has had a varied and interesting life playing in and around Farnham and further afield, including international tours. In 1982 the band visited Mertloch in Germany as guests of the pipes and drums of the local volunteer fire brigade and proved to be a great success with the locals. After this initial visit it took until 1989 to organise a repeat visit and Farnham Brass Band returned to Mertloch to a very warm and enthusiastic welcome. Two days of playing in the Beer Tent and sightseeing were enjoyed and the audience was very appreciative. 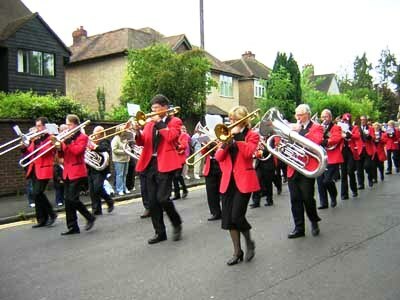 A major part of every year's activities is to accompany the procession for the Farnham Carnival. The afternoon starts with a short concert in the Band Stand on Gostrey Meadows. Later in the day the procession assembles in the Upper Hart car park and processes around the streets of Farnham. In 2015 the band was excited to celebrate its 40th anniversary, which included a number of concerts and other activities. Memorable amongst these was a concert in the Band Stand on Brighton front. On a beautiful September day, the concert was well received and the event culminated with a fish and chip supper! Can you help us fill in gaps in this history?